No one expects to get into a car accident, but no matter how safe of a driver you are, a split second can change your life forever. In 2009, roughly 26 people were injured in a car crash every hour in Florida. That means over 600 people per day are injured in a crash. Then in 2010, there were 17,480 traffic crashes in Hillsborough County alone, according to the Department of Motor Vehicles. It is important to stay calm and stay at the crash scene. If you are injured from the crash call 911 and go to the hospital or walk-in clinic. Make sure to use your PIP insurance to pay for medical bills. Take pictures of the vehicles at the scene of the crash including any damage done to any of the vehicles, property or people involved. Make sure to get names and personal information of any witness of the crash. If you are not injured then you will need to report the claim to your insurance company. Try to obtain a rental car using your insurance or the at fault drivers insurance. Call Keith Ligori at Ligori & Sanders if you have any questions at 813-254-7119. Finally, if your insurance company is not stepping up to help you, call a Tampa lawyer at Keith Ligori anytime at 813-254-7119! Any type of crash can change your life forever. What you do in the first 24-48 hours can make a huge difference and reduce the negative impact. Make sure to be vigilant on the roads and always drive defensively. 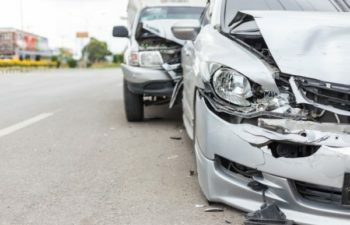 If you find yourself in a crash following these tips to protect you and your family. Remember, Injured? Call Me On My cell!!! or go to www.CallMeOnMyCell.com.